Changes in desaturase activity are associated with insulin sensitivity and may be associated with type 2 diabetes mellitus (T2DM). Polymorphisms (SNPs) in the fatty acid desaturase (FADS) gene cluster have been associated with the homeostasis model assessment of insulin sensitivity (HOMA-IS) and serum fatty acid composition. It is therefore important to study T2DM risk factors. The degree of obesity, the presence of the metabolic syndrome, family history of diabetes, impaired glucose tolerance, a low physical activity level, high blood levels of triglycerides (TG), high-density lipoprotein cholesterol (HDL-c) levels under 0.91 mmol/L as well as certain ethnic groups are well-known T2DM risk factors . Fish oil and omega-3 (n-3) polyunsaturated fatty acids (PUFA) are of particular interest because of their roles in improving the plasma lipid profile, especially by reducing plasma TG . N-3 PUFAs represent a reasonable therapeutic strategy to improve the dyslipidemic profile in individuals with T2DM . On the other hand, n-3 PUFA supplementation is often associated with a significant but marginal increase in fasting plasma glucose (FG) concentrations . A review of 18 trials with 823 subjects on the effects of fish oil supplementation on plasma lipid levels and glycemic controls showed that the pooled weight mean difference for FG was an increase of 0.26 mmol/L after an n-3 PUFA supplementation with doses ranging from 3 to 18 g/d of eicosapentaenoic acid (EPA) and docosahexaenoic acid (DHA) . 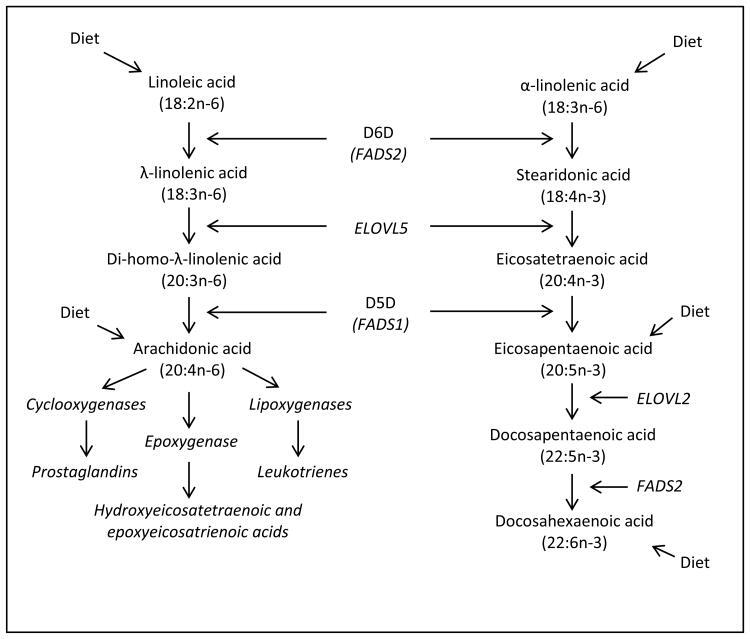 The D5D and D6D, responsible for double bonds formation in the n-3 PUFA and omega-6 (n-6) PUFA pathways, have been associated with differences in fatty acid composition of plasma, adipose tissue, and membrane fluidity . In general, D5D activity is inversely related to obesity and insulin resistance, whereas D6D activity shows positive associations . 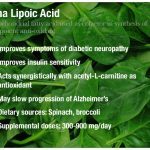 By giving high doses of n-3 PUFA above 3 g/d, the n-3 PUFA pathway is promoted at the expense of the n-6 pathway which would potentially reduce the n-6:n-3 ratio by increasing D5D and D6D ADA and generate improvements in the metabolic profile of individuals. 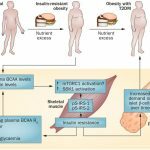 The fatty acid profile of membrane phospholipids and the activity of desaturases are strongly linked to the incidence of T2DM . The large inter-individual variability in HOMA-IS response after an n-3 PUFA supplementation could be due to different dietary factors such as a diet rich in saturated and trans fats, a reduced enzymatic activity of D5D and D6D, a low dietary contribution of C20-C22 PUFAs or high amount of 18:2 n-6 (linoleic acid) in the diet . 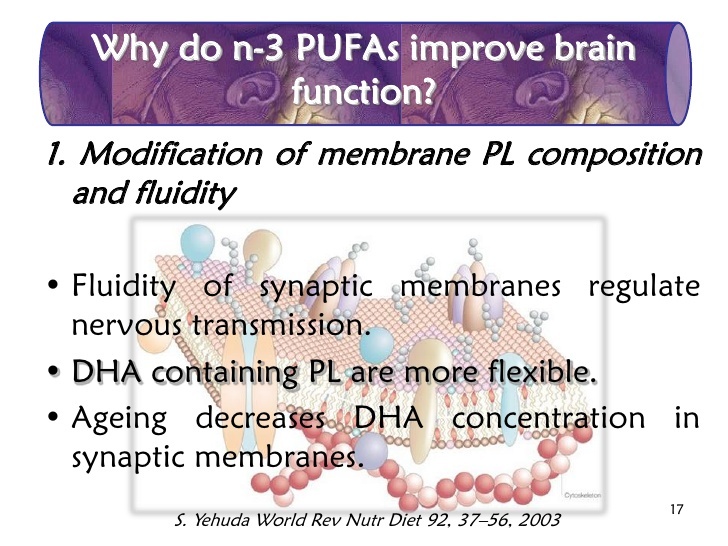 Increasing the content of longer chain PUFAs increases membrane fluidity, the number of insulin receptors and the action of insulin [29,30]. Remarkably, it has been demonstrated that an increase in cell membrane fluidity increases both the number of insulin receptors on the membrane and their affinity to insulin, thus improving insulin sensitivity [31,32]. Defects in D5D and D6D could induce decreases in C20-C22 PUFAs in skeletal muscle membrane phospholipids that lead to less unsaturation of membrane phospholipids. Less unsaturation of membrane phospholipids could possibly affect glucose metabolism.